If you’re about to get braces and you’re a little nervous about some of the myths and rumors you’ve heard surrounding the process of how braces work and what can and can’t happen while you’re wearing them, we’re here to help! There are so many myths out there about life with braces, but here are 10 truths that we think are most helpful. When you first get your braces on, you may experience some minor discomfort as your teeth adjust to the new gear they’ve just received, but the soreness will not last for the entire time you have your braces on. The discomfort you may feel will only be temporary and should not be a level of soreness that you can’t tolerate. Don’t let anyone scare you by telling you that you will be uncomfortable for the long-term. If you’re worried that the next time you go to the airport your braces will set off the metal detector when you go through security, don’t be. The metal used for braces is not the same metal they are looking to detect, and it is highly unlikely that you will set off the airport detector. So rest assured that the next time your traveling on an airplane, or going to an event where metal detectors are present and mandatory, no one will notice you have braces unless you flash them your beautiful smile! 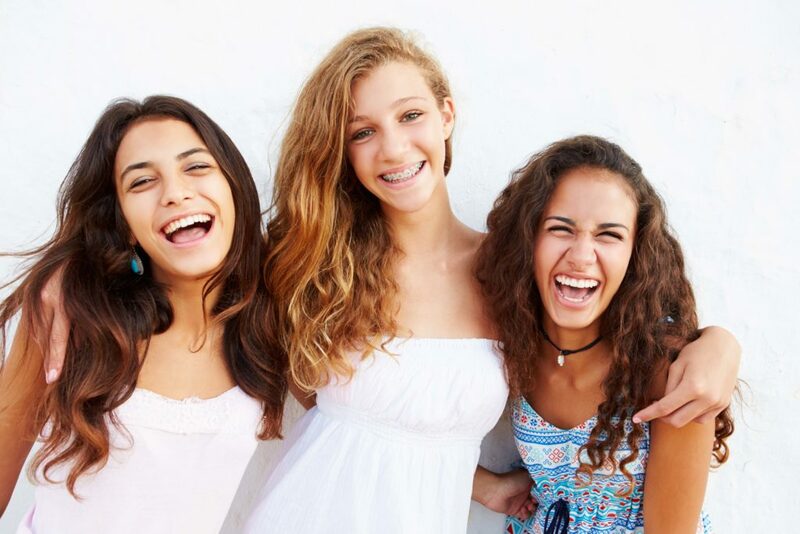 Yes, they are most commonly worn by children and teenagers, but anyone can have braces. Adults can wear braces later in life, especially if they are in need of orthodontic correction. If you’re an avid player of a wind instrument, you can still play beautiful music with your braces on. There may be a small adjustment period at first, but you will be perfectly capable of keeping up with your practicing and performing. Don’t worry about losing your touch or missing out on one of your favorite hobbies, you’ll be just as capable of playing with your braces working on your lovely smile! Braces do work to straighten your teeth and correct your bite, but that does not mean it will last permanently once you have them removed. You must follow your orthodontist’s recommendation and wear the retainer to maintain your straight teeth after they are free from braces. The retainer will work to maintain what your braces worked so hard to achieve. The wires on your braces will not need constant changing, however, they may need to be replaced a few times over the course of your time wearing braces. Your frequent visits to the orthodontist, while you have braces, will be merely to assess the progress of your teeth and to make sure everything is working correctly. The wiring should not need to be changed at every appointment unless there is an issue your orthodontist uncovers. Braces are an effective way to correct and straighten your teeth, but they are not the only way. There are a few alternatives that can also work to correct your bite, such as retainers and invisible aligners. Talk to your orthodontist about the best option for you. Having braces won’t affect your normal diet by any means. Yes, you’ll need to avoid certain things like sticky candies and hard, crunchy snacks, but for the most part you’ll be able to carry on your normal diet as usual--maybe with just a few more thinly chopped vegetables and smaller bites. Some people may need up to two years to fully correct their bite, but that is definitely not the case for everyone. It is common to wear braces for anywhere from 6-18 months depending on what your needs might be. There is no need to stress about having braces on for years, your orthodontist will be able to give you a more direct estimate during your consultation. While they do help correct crooked teeth, braces can also help for other dental health problems. Jaw overbite or underbite, missing teeth, or other problems associated with your teeth or jaw, can all be reasons for braces. In need of an orthodontic consultation? Come in and visit us at Struble Orthodontics. We’d love to see you and answer any questions you might have about your teeth!